America's original gourmet coffee, and the country's number one whole bean coffee, has been delighting coffee lovers for over 150 years. Now that same smooth, rich, delicious coffee is as close as your Keurig brewer. With one touch of a button, you can enjoy the 100 percent premium Arabica beans that have been carefully selected and expertly roasted just for you. 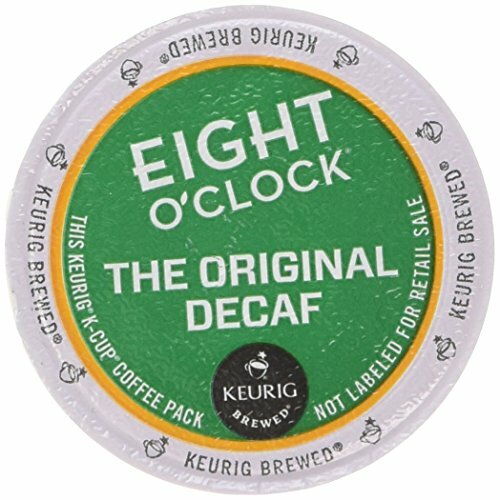 With single cup convenience, anytime is the right time for Eight O'Clock coffee. The Original Decaf is medium roasted to deliver the same great taste and balanced flavor as our Original blend without all of the caffeine. If you have any questions about this product by Eight O'Clock Coffee, contact us by completing and submitting the form below. If you are looking for a specif part number, please include it with your message.